Housing is fundamental to the growth of individuals, families, and communities. A stable roof over one’s head helps develop a sense of opportunity, safety, and comfort that is necessary to build a life of independence and success. In Milwaukee, Heartland Housing’s Maskani Place has been supporting participants for several years. For Maskani Place residents Geraldine and her daughter Pryesha that sense of safety and opportunity have led to very real successes. Despite living homeless for years, Pryesha was able to graduate high school one year early. Geraldine and her family know a thing or two about overcoming obstacles. For years, Geraldine and her children struggled to find affordable housing. The family grew up in Chicago, living in various neighborhoods in the city’s west, south, and north sides. During this time, Geraldine worked selling auto parts and cashiering at convenience stores. With no real support structure, Geraldine raised her children, paid the rent, and put dinner on the table – all on her own. After years of struggling to make ends meet, the opportunity to build a new life emerged when a friend invited the family to move into an open apartment in Milwaukee. Geraldine and her kids jumped at the chance. While the family had even fewer connections in a new city, the chance to start fresh was too good to pass up. But in just a few short months, the opportunity seemed to dissipate. Geraldine was having a hard time finding work and the friends that provided the apartment were ready to part ways. All of a sudden, Geraldine and her children were without a home in an unfamiliar city. And they made it work for years – first at an overnight emergency shelter, and then in transitional housing. Enduring the day–to-day of shelter life wasn’t easy, especially for a mom and her children. The rooms for families had to be shared, and the crowded space wasn’t favorable for things like homework and play. Pryesha remembers life in the shelter system vividly. She remembers the difficulties, the frustrations, the fears brought upon by not having a place to call home. 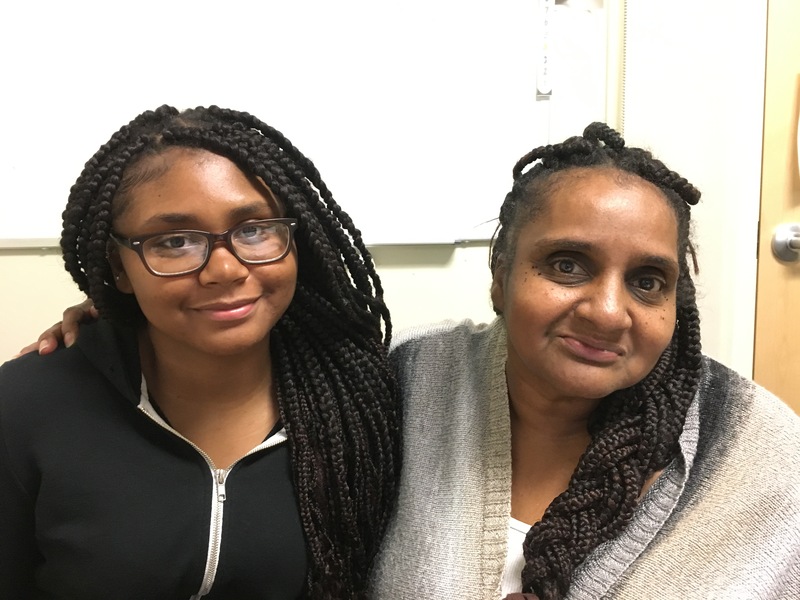 When Heartland Housing’s Maskani Place invited them to move into a new permanent supportive housing unit, Pryesha hoped to move in as soon as they signed the paperwork. Just a few days later, that day finally came. Geraldine remembers it all fondly. After spending years feeling out of place, the warmth of Maskani Place was a welcome experience. Pryesha’s new home couldn’t have come at a more critical moment. The ambitious young woman was entering high school, and the newfound security of her own room supported a smooth transition. Pryesha is a natural when it comes to her studies, and she enjoys most of her subjects , which made it easy to take on extra coursework and summer school to achieve early graduation. Nothing could keep Pryesha from her goals. Difficult homework, bad weather, school drama – none of it slowed her down. Where most students found barriers, Pryesha wouldn’t flinch. Where most students found an easy way out of an assignment, Pryesha would tackle it head on. To her, there was only the ultimate goal. Even through crisis and health concerns, the young woman found perseverance. Pryesha was in the middle of her junior year when she was struck by a car, breaking her arm and giving her a serious concussion. The school, her doctors, and her mother all wanted her to slow down and let her body heal, but all she could think about was her goal. Pryesha found the inspiration needed to power through by leaning into her mother’s courage. Geraldine suffers from arthritis, back issues, and depression – but through it all, she was able to find security for her and her children. Graduation was a monumental day for the Maskani residents. 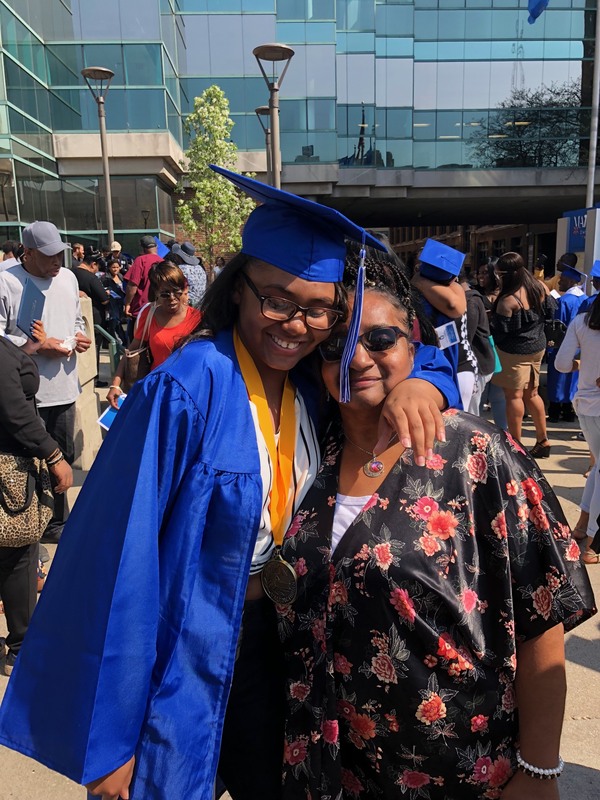 With Pryesha graduating a year ahead of schedule, Geraldine feels both proud and hopeful in the fact that her child’s success has placed her on a path toward security. Pryesha sees herself majoring in IT and minoring in business, with the hopes of one day building her own company and working for herself. She has enrolled in Milwaukee Area Technical College to keep costs down and, then will transfer to the University of Wisconsin Madison next year. The next chapter for Geraldine and Pryesha is bright. We’re confident that Pryesha and Geraldine will be ready for just about whatever comes their way, and we’ll be ready to help every step of the way.